Cory Clemetson is the Co-Founder and currently serves as the Kids for Sports Foundation President. He has served as President of the Board since the Foundation’s inception in 2014. Cory is also the Co-Owner and Managing Partner of Wolf Creek Golf Club located in Mesquite Nevada. Cory and his brother Chad acquired Wolf Creek in 2003. Through their leadership Wolf Creek has become one of the most prominent Golf Courses in the United States and throughout the world. Wolf Creek is considered a “Bucket List” golf course and is consistently ranked as one of the top Public Courses in the United States. Prior to Wolf Creek, Cory spent 12 years as a sports agent. He began is career at the two top sports management firms in the world at the time, IMG and Advantage International (renamed Octagon), before starting his own sports agency, Intersport Incorporated, based out of Los Angeles. At Intersport Cory represented professional athletes in contract negotiations, endorsement opportunities and branding. He also provided strategic consulting to various corporations seeking to reach key demographics through sports. Cory also serves on the prestigious Athletics Leadership Council at the University of the Pacific in Stockton California. The board was created by the University to serve primarily as an advisory committee to the President and Director of Athletics. Its’ main charge is to offer strategic direction and advice as it relates to athletic programs, facilities, finance, and future planning and marketing for Athletics at Pacific. Cory has served on the board’s executive committee since 2013 and recently served as the Chairman of the board from 2015 until 2018. Cory also currently serves on the Nevada Golf Course Owners Association as a Board of Director. He has held that position since 2014. 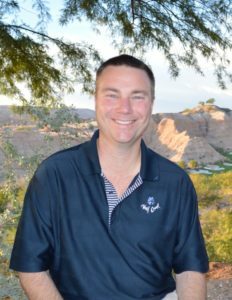 His main focus on the board is representing the association on any/all legislative issues that involve the Golf Industry within the State of Nevada. Since 1998 Cory has been a partner in Nevdex Properties along with his brother Chad. Nevdex is Reno Nevada’s Premier Landlord for Class A office Space. Nevdex owns and manages approximately 450,000 rentable square feet.